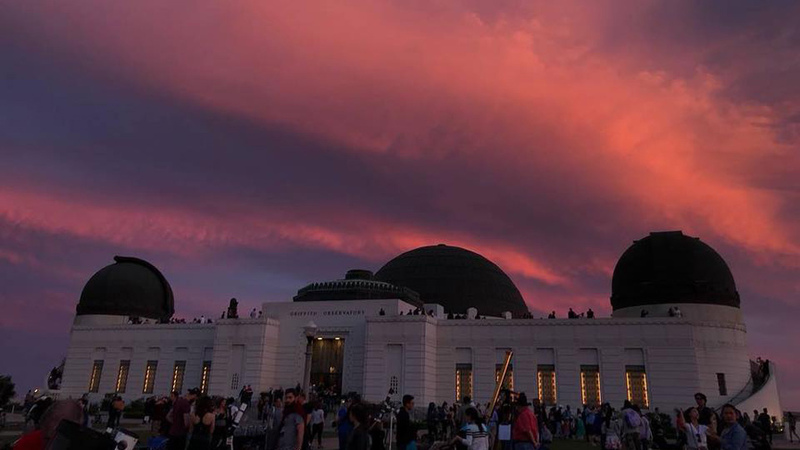 Sunset at the Griffith Observatory at the LAAS Public Star Party on April 21, 2018. Global Astronomy Month is organized each April by Astronomers Without Borders and is the world’s largest annual celebration of astronomy. GAM returns for 2019 (#GAM2019) with more exciting programs for astronomy enthusiasts worldwide. This year's theme is The Spirit of Apollo, in honor of the 50th anniversary of the landing on the Moon by Apollo 11 astronauts Neil Armstrong and Buzz Aldrin. Featuring events dedicated to stargazing, sharing astronomy with the public, internet streaming of telescope views, and even art inspired by the wonders of the universe, GAM serves to showcase the wonders of the universe to everyone. You can find events held around the globe on their world map of events, or search by country on their event listings page. Of course you can also find astronomy events in the United States by using the Night Sky Network's astronomy events page. If you are in a club and you have entered your event on the Night Sky Network, you can also submit your public event to the events page on the AWB website for even more publicity!